As the book shows, an adequate answer to this question presupposes an adequate overall model – or ‘architecture’ – of language and its use. in both the generation and understanding of texts (spoken and written). 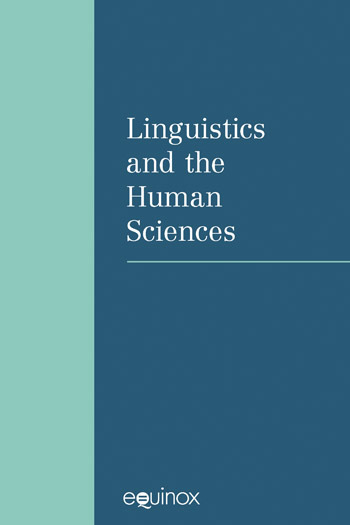 And, since all functional theories of language face the same challenge of modelling the processes of producing and understanding both sentences and the ‘higher’ units of discourse in which they occur, this book should interest all functionally-oriented linguists – and indeed all linguists. After listing ten demands that will be made of SFL ( and other theories of language) in the twenty-first century, the book surveys the various architectures that have been proposed in SFL, first for the ‘lexicogrammar’ itself and then for the overall architecture within which this is set (with a brief look at the architectures of other functional models). It then proposes criteria for evaluating alternative overall architectures; and it identifies the type most likely to prove adequate in the long run. Such an architecture must have these two attributes: (i) it must be genuinely comprehensive, and so provide for both the ‘socio-cultural’ and the ‘cognitive-interactive’ aspects of language, and (ii) it must ‘work’ – i.e. 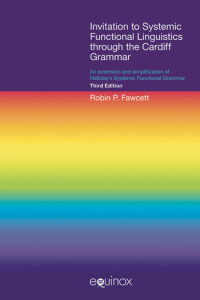 its lexicogrammar and its ‘grammar of discourse structure must be usable not only to describe texts – which is an invaluable stage in developing a comprehensive model of language and its use – but it must also be able to be expressed sufficiently explicitly to be modelled in a computer. A major chapter then describes the preferred model – which is also the most comprehensive model – component by component, each at its current stage of development. Another major chapter provides a detailed picture of selected portions of one example of the key enabling innovation, i.e. the ‘microplanner’ that determines which of the various types of ‘Theme’ will be selected. Then a third major chapter provides a ‘walk through’ that illustrates the whole architecture at work (the context being an anxious moment in the life of a fictitious industrial spy). While many of the components described have been implemented in computer models of an earlier version of the proposed architecture, there is a strong emphasis on the way in which we can integrate with this essentially ‘cognitive-interactive’ approach the insights that emerge from the ‘socio-cultural’ wing of work in SFL – work that has so far proved less amenable to being represented in computer models of language in use. The book concludes with a summarizing evaluation of current proposals for alternative architectures in SFL, and suggestions for the components that should be worked on next, in order to create and further develop a genuinely comprehensive architecture. The central concept in Systemic Functional Linguistics (SFL) is that of choice between meanings – these then being realized in structures. The important question that forms the starting point for this book is: ‘How do we, as users of language, choose between the features in the system networks?’ As the book shows, an adequate answer to this question presupposes an adequate overall model – or ‘architecture’ – of language and its use. in both the generation and understanding of texts (spoken and written). And, since all functional theories of language face the same challenge of modelling the processes of producing and understanding both sentences and the ‘higher’ units of discourse in which they occur, this book should interest all functionally-oriented linguists – and indeed all linguists. After listing ten demands that will be made of SFL ( and other theories of language) in the twenty-first century, the book surveys the various architectures that have been proposed in SFL, first for the ‘lexicogrammar’ itself and then for the overall architecture within which this is set (with a brief look at the architectures of other functional models). It then proposes criteria for evaluating alternative overall architectures; and it identifies the type most likely to prove adequate in the long run. Such an architecture must have these two attributes: (i) it must be genuinely comprehensive, and so provide for both the ‘socio-cultural’ and the ‘cognitive-interactive’ aspects of language, and (ii) it must ‘work’ – i.e. its lexicogrammar and its ‘grammar of discourse structure must be usable not only to describe texts – which is an invaluable stage in developing a comprehensive model of language and its use – but it must also be able to be expressed sufficiently explicitly to be modelled in a computer. A major chapter then describes the preferred model – which is also the most comprehensive model – component by component, each at its current stage of development. Another major chapter provides a detailed picture of selected portions of one example of the key enabling innovation, i.e. the ‘microplanner’ that determines which of the various types of ‘Theme’ will be selected. Then a third major chapter provides a ‘walk through’ that illustrates the whole architecture at work (the context being an anxious moment in the life of a fictitious industrial spy). While many of the components described have been implemented in computer models of an earlier version of the proposed architecture, there is a strong emphasis on the way in which we can integrate with this essentially ‘cognitive-interactive’ approach the insights that emerge from the ‘socio-cultural’ wing of work in SFL – work that has so far proved less amenable to being represented in computer models of language in use. The book concludes with a summarizing evaluation of current proposals for alternative architectures in SFL, and suggestions for the components that should be worked on next, in order to create and further develop a genuinely comprehensive architecture.